Norwegian Getaway is almost ready to make its inaugural sailing from Southampton to its new year round home of Miami, Florida. 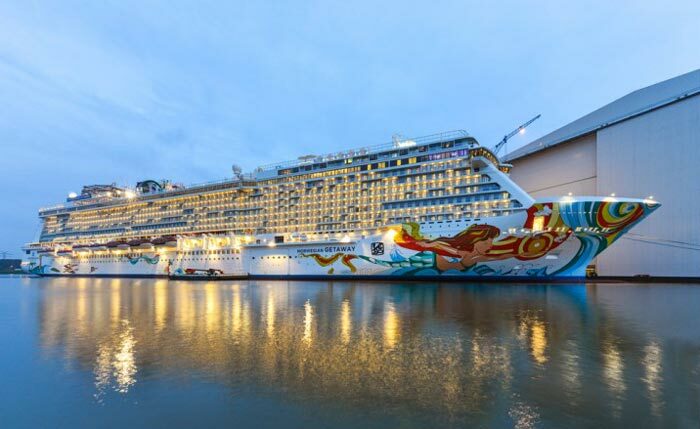 The new NCL cruise ship will arrive in Southampton on January 15th and is the sister ship to the popular Norwegian Breakaway which is currently sailing out of New York. 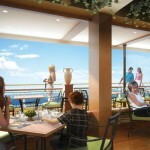 At Cruise Hive we’re really excited about Norwegian Cruise Lines newest ship so have decided to put together some renderings from Norwegian Cruise Lines of the main features from onboard the new ship. 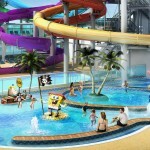 A place where kids can have some fun in the water with Nickelodeon characters. 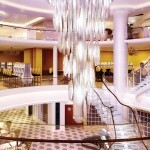 678 Ocean Place is where guests can browse all the onboard dining and entertainment venues. Passengers can also get to the Waterfront area which has even more lounges with outdoor spaces. 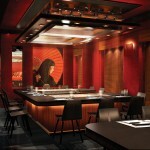 Teppanyaki offers a full Asian dining experience. 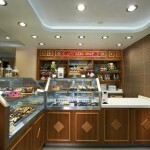 Wasabi Sushi Bar is perfect for sushi and is always a popular choice for guests. The media is set to checkout the new ship while it’s at Southampton for two days and is expected to brighten up the city with its amazing hull artwork by David Le Batard who is from Miami himself. There will inaugural celebrations before getaway sets sail on a 10 day transatlantic crossing towards the sunshine state of Florida. Norwegian Getaway will begin its very first Caribbean cruise on February 1st and will be doing 7 day eastern Caribbean cruises all year round from Miami. The ship will sail to Philipsburg, St. Maarten, St. Thomas, US Virgin Islands and the ever popular Nassau, Bahamas. Norwegian Getaway is 144,000 gross tons which puts in that elite group of mega cruise ships. The ship will carry over 4,000 passengers and was built at the popular Meyer Werft shipyard in Papenburg, Germany. 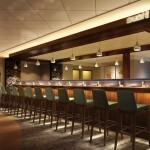 The bar is inspired by the sunshine state of Florida and is very unique to Norwegian Getaway. The Tropicana Room offers grand ocean views along with an amazing dining experience. The Illusionarium is a cruise industry first! 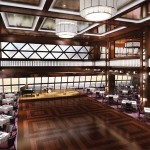 A dining and entertainment venue featuring magicians and illusionist shows. 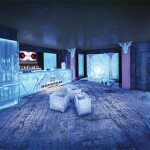 A place where passengers can enjoy a chill out area in the day and then a club at night! La Cucina is a popular Italian restaurant. There are so many good things about this new ship including the Norwegian Getaway Godmothers, Miami Dolphins Cheerleaders! The ship is following in the footsteps of sister ship Breakaway which also had a group of godmothers. 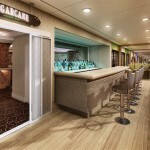 This seems to be a new trend from the cruise line and shows that NCL is modern and willing to think out of the box. Celebrity Chef Geoffrey Zakarian who has been featured on the Food Network will also have some input into the Ocean Blue and The Raw Bar onboard the NCL Getaway. There are lots more dining and entertainment venues but the best way to know them all is by taking a cruise on the ship! 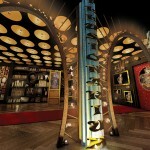 Another highlight is Grammy Entertainment which will provide high-class shows curated by the Grammy Museum. Let us know in the comments below what you think of the Norwegian Getaway. 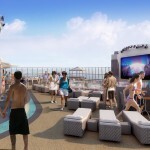 The ship is set to be one of the highlights of 2014 in the cruise industry and will be a popular choice for cruisers.